Heirloom Quality Monogrammed Bangle Bracelet. 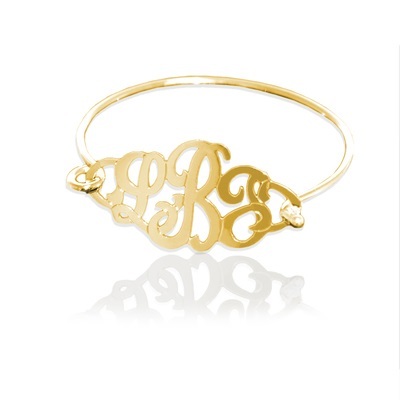 Handcut Three Letter Lace Monogram serves as the latch to a solid Wire Bangle Bracelet. As all monogrammed jewelry is custom made especially for you, it is not returnable. Made for Classic Prep Monograms by Jane Basch. Choose an optionLarge - 7.5"Medium - 7"Small - 6.5"